Sutcliffe was a late developer and after having been associated with Heckmondwike, Halifax Town and York City, he joined Second Division Leeds City in 1919 just before the club was suspended by the Football League. 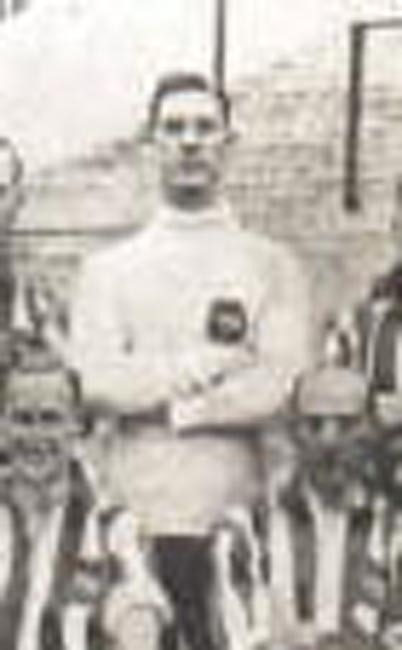 He had played twice for the club in the Subsidiary competition of the war-time Midland League and while he was not one of the players auctioned in 1919, he joined Rotherham County in August 1920. Sutcliffe had a hectic Rotherham debut as goalkeeper in a 5-4 home win against South Shields in October 1920, his only game that season. After a mid-season spell of three games the following season, he returned to play in the last eleven games. That started an unbroken sequence of one hundred and two League and Cup appearances, his last game coming on 6th September 1924. In total, Sutcliffe played one hundred and two League and four F.A. Cup ties. He left to join First Division Sheffield United in September 1924 and was the Blades first choice keeper making forty-five League and six F.A. Cup appearances at Bramall Lane. The highlight of his career came in the 1925 Wembley F.A. Cup Final when he kept goal as United beat Cardiff City 1-0 to lift the F.A. Cup and give Sutcliffe a prized F.A. Cup-Winners’ medal. It produced an unusual fact. Brothers John and Charles Sutcliffe hold the record for the longest period between two brothers appearing in an F.A. Cup Final. Both goalkeepers, John kept goal for Bolton Wanderers when they lost to Notts County in 1894 while Charles turned out for Sheffield United thirty-one years later when they beat Cardiff City in the final in 1925. He retired in 1926 and died on 18th August 1964.